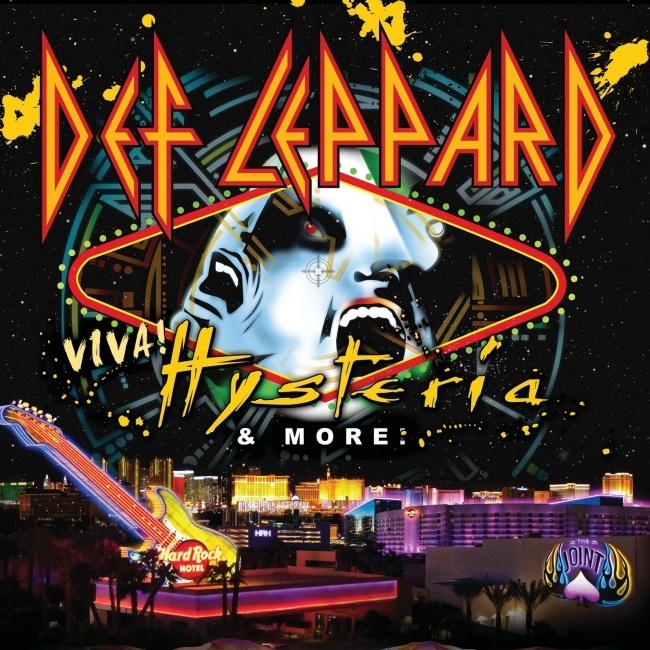 Def Leppard singer Joe Elliott has spoken about the stage plans and setlist for the VIVA Hysteria! residency in Las Vegas. Joe has said the band will use digital video screens with special content for the 'Hysteria' album portion of the shows. The 9 show run is now 57 days away and kicks off on 22nd March at The Joint. Joe also mentioned the band would record the shows and that they will not be doing any other touring in 2013 (as already stated by other band members). "The focal point of each show will be 1987's "Hysteria" album performed front to back, while an opening set will feature "stuff we've never ever played, or haven't played in God knows how long." Elliott also promises "a bit of visual feast as well," including digital video screens and special content for the "Hysteria" portion of the show. "We haven't really had that meeting yet," Elliott says, "but we've got a good feel for how we want it to go." "Elliott also expects Def Lep to film and record the shows for some sort of future release. "We'd be fools not to," he notes." "We've toured eight of the last 10 years, so I think we need to spend a bit of time away," he explains."